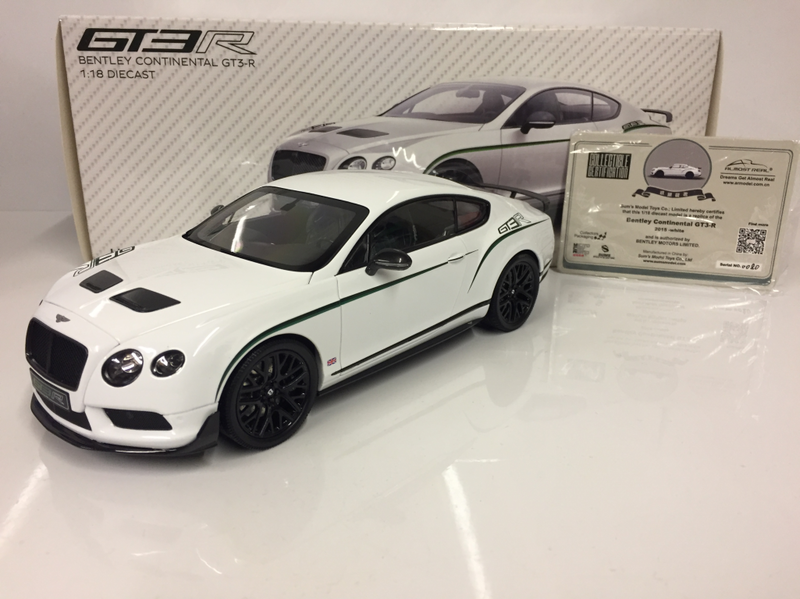 Bentley is synonymous with luxurious grand tourer, and in 2014 the Continental GT3-R debuted, featuring peerless craftsmanship, exquisite style, and superior power —the perfect chest-thumping model for this illustrious brand. 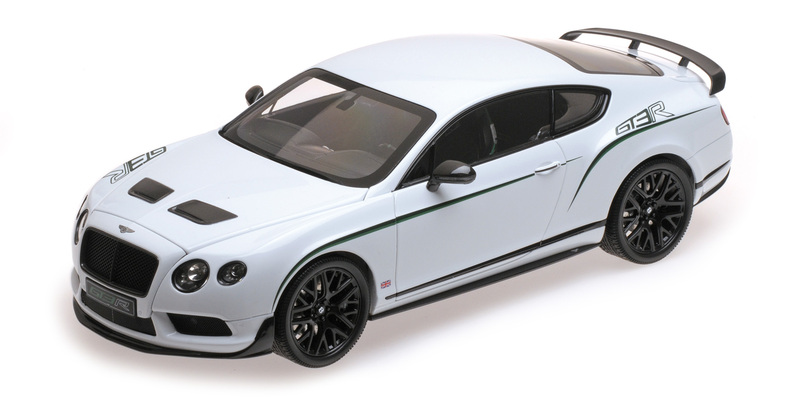 Naturally, the Almost Real Bentley Continental GT3-R White was one of the most anticipated models of 2017. 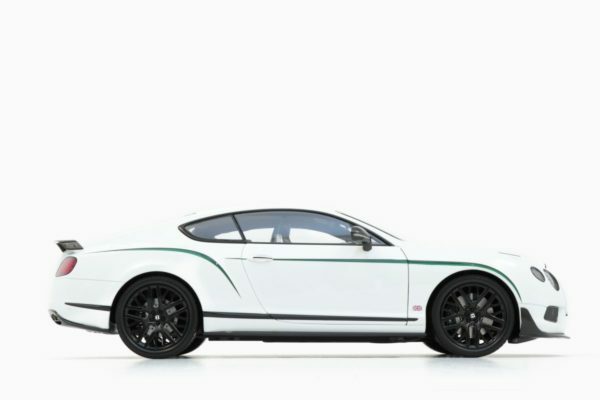 The smooth, milky white paint and green pinstripe accentuate the sculpted body. The nose features perfectly perforated front grilles, the Bentley marque, and realistic headlights with proper LED surrounds. 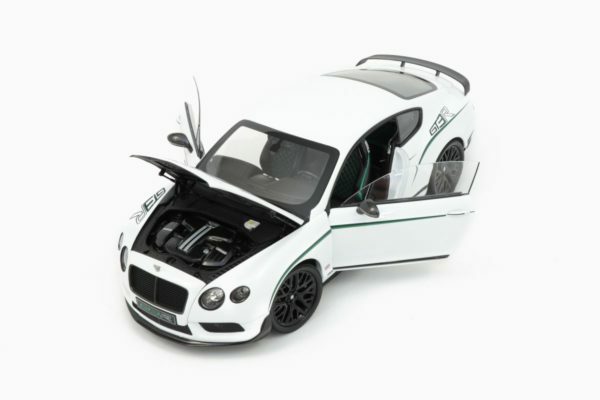 The hood opens to reveal a clean replication of the engine and the inside of the hood even features a relief of Bentley’s of signature quilting detail. The brake lights on the tail are also of superb quality and the trunk opens to reveal a carpet-lined rear storage. 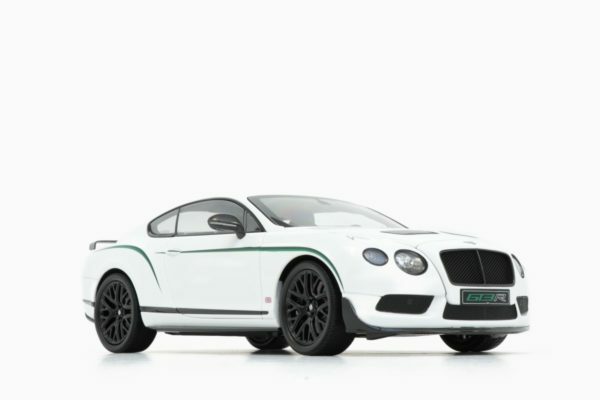 The treaded tires feature well-crafted rotors, glossy black wheel caps, and even the Bentley logo. 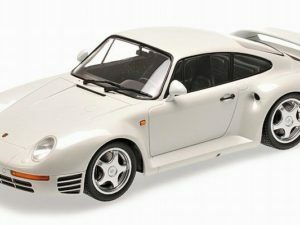 The side doors open to showcase the green-stitch quilting pattern on seats and doors, adjustable seats, and a fully instrumented dashboard. The Bentley Continental GT3-R by Almost Real is truly a stand out from other brands in this price range. 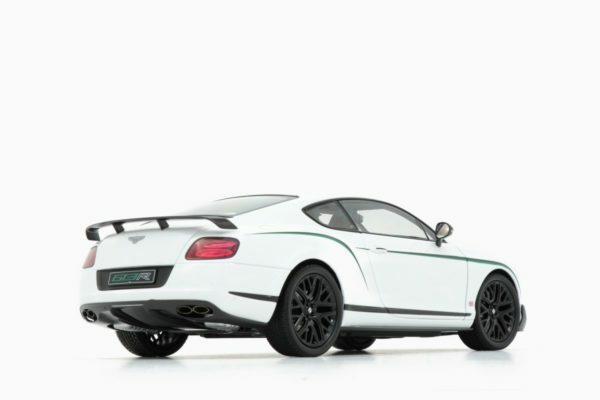 Not only is this car a feast of details, but it is a limited edition of 1,999 worldwide. 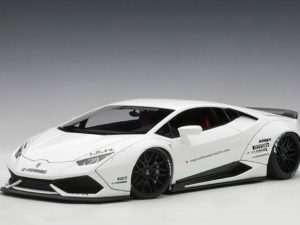 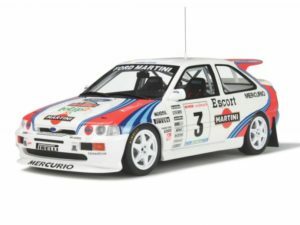 Each car comes with a unique, collectible certificate, and each car comes packaged safely in a shell of Styrofoam. 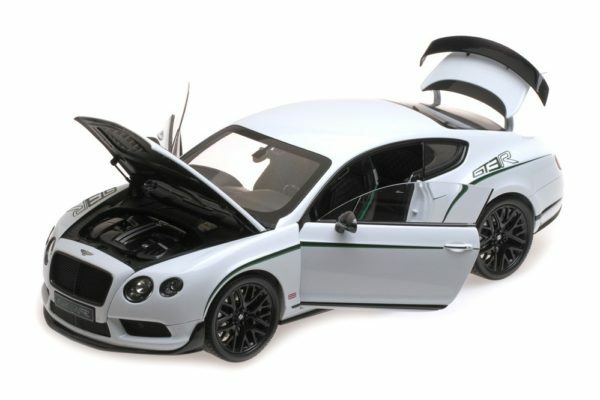 Any fan of the legendary Bentley brand will need to add this exceptional die-cast car to their collection.